succeed in advancing through high school and gain admittance into colleges and universities, all while working through difficult emotional and behavioral issues in single-gender programming. "To go from behind in school to scoring so well on her ACT, this really has made all the difference for her college applications!" This model arose out of a study advanced at a national university which asked the question, "If money were not an object in our traditional school model, how would classroom education best be accomplished?" The results of that study and its implementation at Discovery Academy are what make all the difference some parents say! We have taken the precepts learned and applied them in an individualized way that captures the talents and abilities of each student at the exact place they are educationally when they come to us. The results have been exciting to be a part of over the years, as our students catch up in their schooling while accomplishing their therapeutic work, improve their high school grade-point-averages, and have median ACT and SAT scores above national averages - a truly remarkable statistic considering our students come to our program because of emotional and behavioral challenges, and not usually with any recent history of academic success. We believe we have the most effective academic model in the teen treatment industry and we are looking forward to the ways it will be improved upon in the future. The rise of the internet, the ability to communicate with parents through online portals, and bringing smart technology into the classroom are ways we are improving our model. 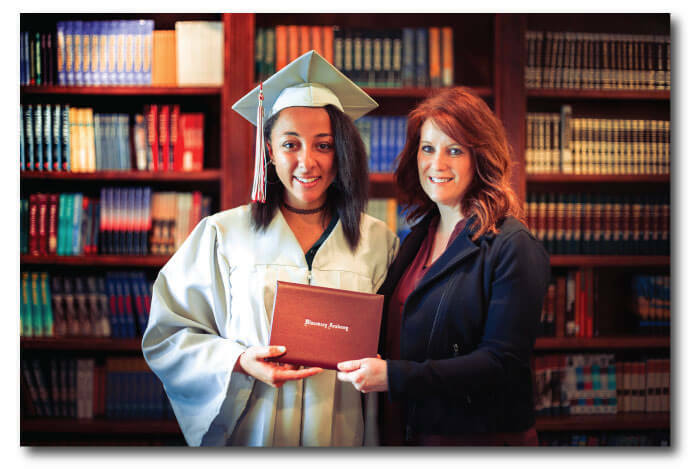 We hope your daughter finds success academically while here at Discovery Academy!